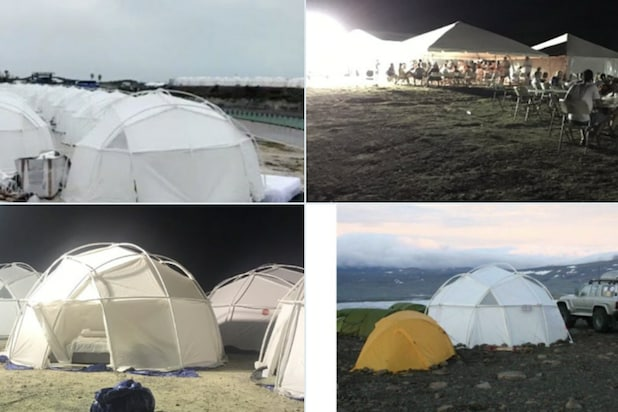 The now-infamous Fyre Festival, which was promoted by Kendall Jenner on Instagram to be “the next Coachella,” spent the majority of its budget paying figures like Jenner to promote the event. According to a recent report from Vice, the festival’s organizer, Billy McFarland, paid Jenner $250,000 for her Instagram post. Several other social media influencers and models were paid for their Instagram promotions; a source told Vice that no one received less than $20,000. With the exception of Emily Ratajkowski, none of the models paid to post on Instagram identified the post as a paid sponsorship — a violation of Federal Trade Commission guidelines. These omissions are now part of a class action lawsuit against Fyre Media, McFarland and others. The festival was touted as a luxury festival, with some VIP packages on sale for up to $250,000, including a private yacht. However, the festival organizers didn’t seem to deem basic needs like working toilets and adequate shelter worth the steep price tag. Because of the money spent so early on on models’ promotion of the event, and weekend trips back and forth to “plan,” money for more practical items was running low weeks ahead of the festival. Serious logistical planning did not begin until late February or early March, according to the report. The festival, which has been postponed, began April 27. The event was promoted as taking place on a private island, although in reality in took place on a public beach. Ja Rule was one of the event’s organizers, for which the lowest ticket price was $450. The package that was being pushed the most, however, was the $12,000 one. According to Vice’s report, the festival initially planned on selling 40,000 tickets by March 31. One festival goer said the tents set up for guests to stay in were more like “FEMA tents” than high-dollar luxury tents. The band Blink-182 bowed out at the last minute. Staffers were few and far between. Employees first grew concerned in October when payroll stopped at Fyre Media; by the end, employees were being paid in wads of cash. Some vendors say they still haven’t been paid. Stephen Starr was supposed to provide catering, but the deal was abandoned when organizers couldn’t pay. According to a class action lawsuit filed by celebrity lawyer Mark Geragos, Ja Rule (real name: Jeffrey Adkins) and McFarland knew full well that their festival was going to flame out but did nothing to warn attendees, although they did warn celebrities. Ja Rule, meanwhile, offered an apology that also served as a denial of responsibility as he promised everyone would get refunds. A form is now circulating that gives this year’s ticket holders the option of receiving free passes for the 2018 festival instead of a refund for this year’s disaster.